Montag meets a young girl who’s unlike anyone he has ever met before. She opens his eyes to meaning and feeling in the world. Why hasn’t Montag ever tasted the rain before? Why isn’t he in love with his wife—in fact where did they even meet? Montag starts to question his existence and purpose —why are they destroying the books? Why are they so important? Montag goes through a metamorphosis, discovering who he truly is and what he truly wants. 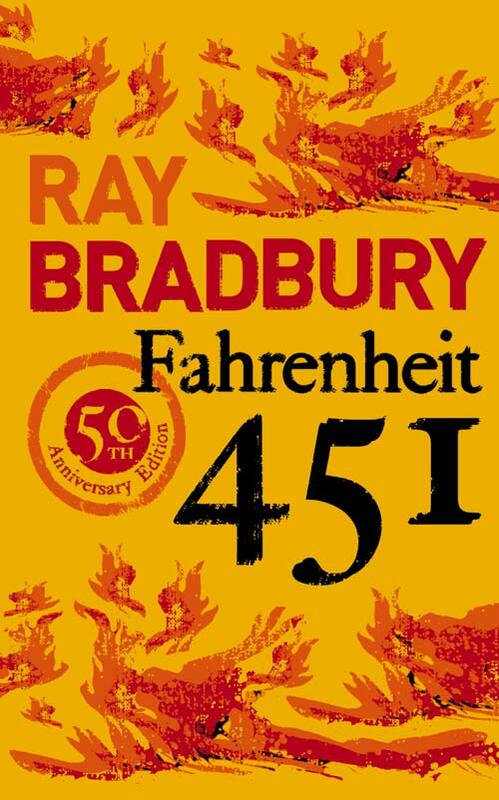 Bradbury writes in an easy and plain style. His prose is almost poetic, like a stream of consciousness or a dream. The tone of the book changes from being menacing and depressing in the first half of the book to being positive and optimistic in the second half of the book —it follows Montag’s own personal transformation. The book is a critique of a fast-food entertainment culture, when TV shows and other forms of mass media are spoon-fed to us in tiny almost unintelligible chunks. It is also reminiscent of the fascist regimes of Hitler (they burned books at the Nuremberg rallies in the 1930s) and Stalinist Russia. Faber, an out-of-work literature professor, explains to Montag what’s missing in his life. He says that what is wrong is not just the lack of books, but that the whole society has lost its way; they have all lost meaning in their lives. Fahrenheit is a cautionary tale; it could happen to us. However, it’s ends with possibilities—from the fire a new world can be born. This review was first published in The Student Standard on the 6 April 2009.